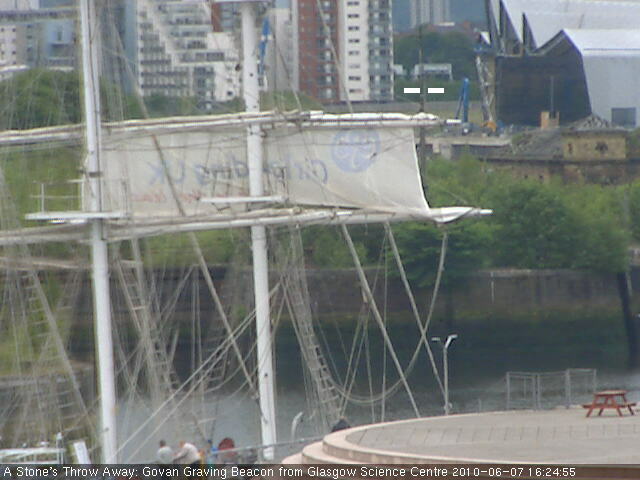 If you'd been peaking at the webcam lately, you couldn't have missed the tall ship moored just along side the Glasgow Science Centre on the 6th and 7th of last week. We've been told the name of the ship is the 'Lord Nelson' of the Jubilee Trust. 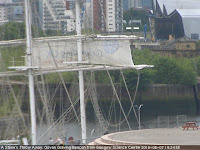 A quick ask to our good friend google came up with the ships log, confirming they had in fact stayed in Glasgow before picking up a training crew of GirlGuides on a 100 day Glasgow Oban voyage! 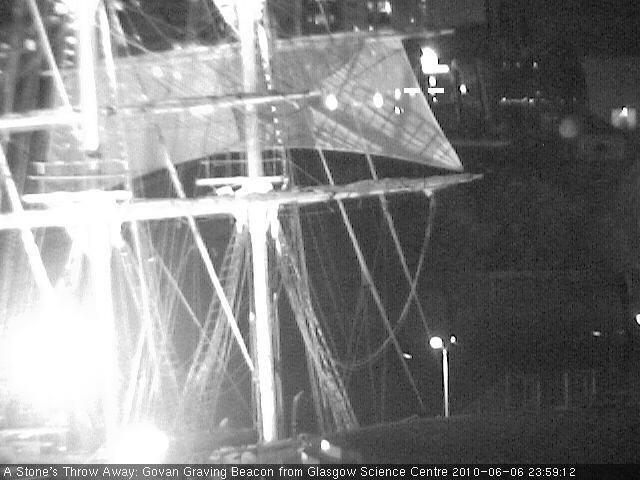 Ohhhh envy!